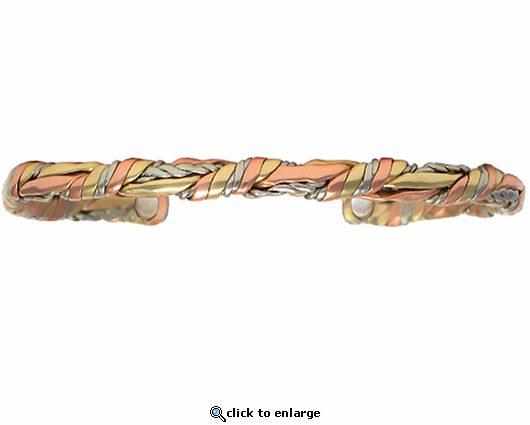 This delicate copper magnetic bracelet which Sergio calls Little Sage is woven the same way Native Americans weave sage when they make smudge sticks that are burned like incense before sacred ceremonies. It has two rare earth magnets and is made of pure metals. No plating is used and it is Made in USA. i just received this bracelet and I love it. it is shiny and dainty and perfect for a small wrist. I got the 6 inch , so pretty on my arm, very pleased.